My cousin sent me another “care” package. It’s always a surprise when she sends something as she will tell me something like “I’m sending you some fabric” which doesn’t tell me anything. 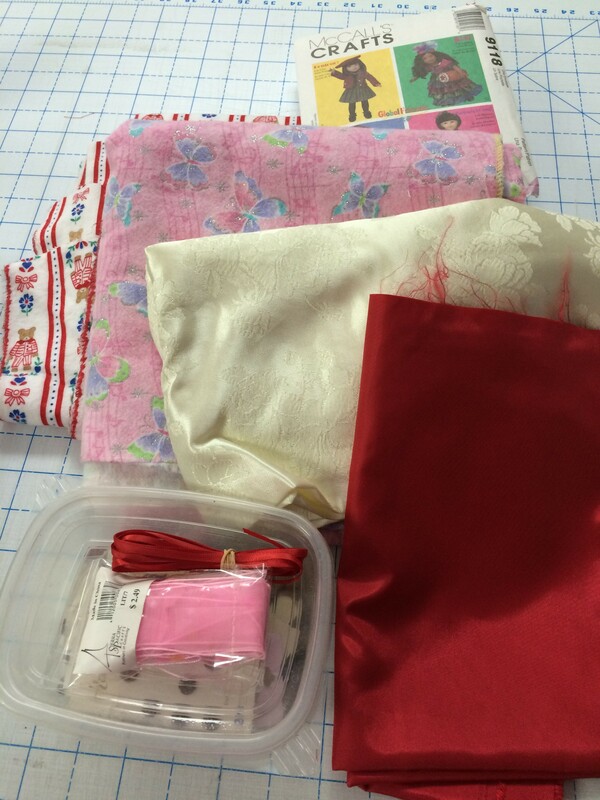 Here is today’s package: 2 lovely pieces of flannel each 2 yards, a brocade type and a silky type fabric , each just over a yard plus some doll buttons and other misc., some ribbons, some pellon and a doll pattern with a dress from each of 4 countries. What fun this will be!. 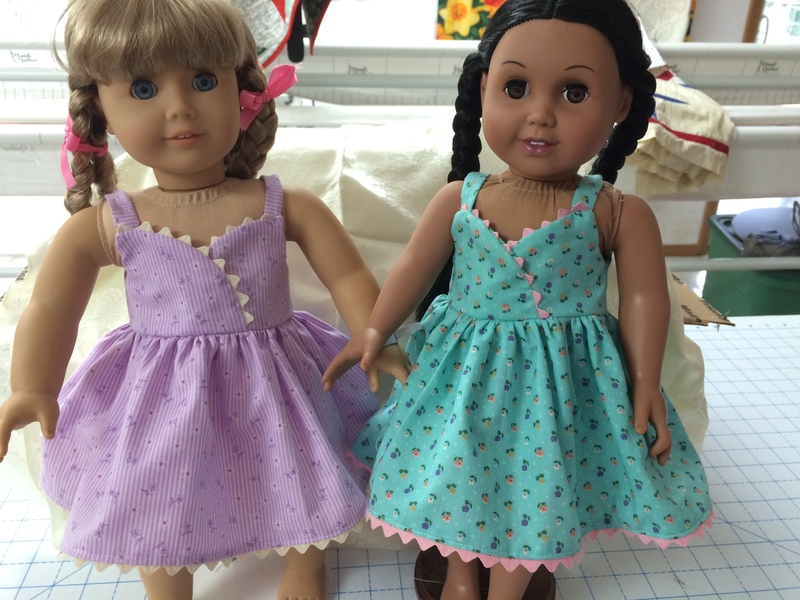 But this will go into my doll items and not be counted with my quilting fabrics. And after mopping the floors and watering the greenhouse etc. – just what has to be done – I don’t get carried away there, I have another little dress done. I probably should go find some fabric to do a third one for gifting, but I’m anxious to try another pattern first.